Fireworks are illegal to possess or use in the City of Austin unless a permit has been issued for a professional display. These permits are issued by the AFD Special Events only if several requirements are met. 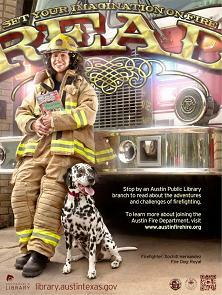 Contact afdspecialevents@austintexas.gov for details. Requests for aerial fireworks must be submitted at least 21 days prior to scheduled event. Requests for flame effect, open flame performances, etc., must be submitted at least 14 days prior to scheduled event. The 2015 International Fire Code, as locally amended by the City of Austin, requires that businesses that are storing or using hazardous materials above-ground obtain a permit. The use of open flame in a public assembly requires a permit, candles included in some circumstances. Examples of situations where this would apply are demonstrations or entertainment that features fire-handling or a religious ceremony that includes open flames. This type of permit can be obtained by contacting the AFD Emergency Prevention Division at afdspecialevents@austintexas.gov and requesting an application. Fees associated with this type of permit vary. The Temporary Change of Use to Public Assembly/Operational Permit is required for structures or portions of structures used as public assemblies that do not currently have a “Certificate of Occupancy” for that type of use.